The Only Scale in its Class with Touchless Sensors That Free Up Your Hands! OHAUS raises the bar in value-oriented scales…again! The NavigatorTM series offers a unique combination of features, including touchless sensors, ultra-fast response time and superior overload protection for use in a wide variety of weighing applications. Touchless Sensors – Navigator is designed with two touchless sensors that will free up your hands so you can focus on handling samples. The touch-free control of the zero, print, function or tare operations helps to avoid transferring sample residue to the keypad. In addition, the two sensors can be set up independently to control up to 36 combinations of operations. One Second Stabilization Time – Navigator is designed to accurately stabilize in less than one second to provide fast and accurate weighing results, improving operator efficiency, productivity and throughput. Superior Overload Protection – Navigator is designed with a superior mechanical overload protection system that allows the scale to withstand loads up to 400% of its rated capacity. This prevents damage to the scale and helps it withstand undue shock or overloading. In addition, an integrated shipping lock further protects the weighing cell from damage during transportation or storage. LCD or LED Display Options – Navigator is designed with LCD or LED displays to provide the best visibility in any lighting condition. Whether you use the Navigator indoor or or outdoor, the display is also designed with large numeric segments and unit indicators to make the weighing results easy to read. With its best-in-class combination of features, versatility and performance, the OHAUS Navigator offers a wide range of use in industrial, food and laboratory weighing applications. • Designed with two touchless sensors that free up your hands, allowing you to focus on handling samples and keeping the scale free from contaminants. The touch-free control of tare, zero, print, function and display backlight helps to minimize touching the keypad, thereby avoiding cross-contamination or unwanted residue on or from the scale. • A polished stainless steel pan, corrosion-free plastic housing and spill-resistant pan sub-assembly embodies a hygienic design that is easy to clean. • The optional full-body in-use cover wraps over and around the housing and keypad to guard against spills, dust and contamination. • Stabilizes in less than one second to provide fast, accurate and repeatable weighing results. This helps improve operator efficiency and increase productivity. • The optional internal rechargeable lead acid battery can operate LCD versions up to 100 hours (or over twelve 8-hour days) of normal use on a full charge. With maximized portability, the scale can be transported and used where power outlets are not readily available. The rechargeable battery also helps minimize battery replacement and maintenance costs. • A wave of the hand over the touchless sensors eliminates the extra effort or time to press the keys, which helps increase convenience and efficiency. • A bright backlit LCD or LED display provides optimum visibility in any lighting condition – indoors or out – with large digits and indicators that make it fast and easy to read the weighing results. • Built to hold up to serious loads, the superior mechanical overload protection system enables the scale to safely bear loads up to 4 times its rated capacity. 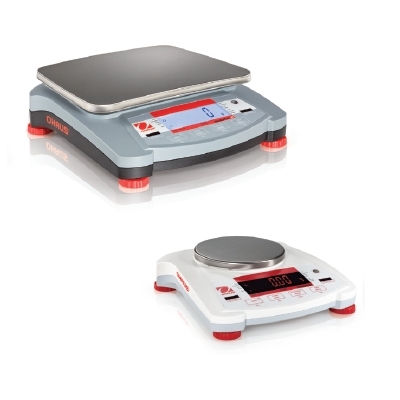 • Constructed of a high-strength 304 type stainless steel pan and impact-resistant ABS plastic housing that helps the scale stand up to years of use or abuse. • The touchless sensors minimize the need to press the keypad with your hand, a knife or other sharp objects, reducing wear and tear of the keypad and increasing the effective life of the scale.